Your success is our success. 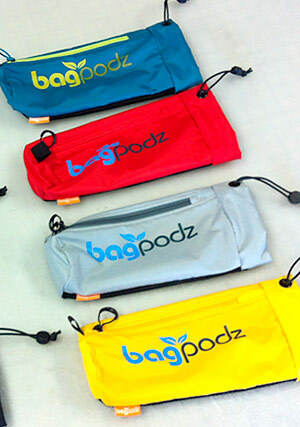 We work hard to deliver a product that meets your high expectations. Design Lines, LLC is a sewn product design company specializing in freelance contract design, pattern drafting and prototyping services for the soft goods industry. With 35 years experience in packs, bags, cases and accessories, Design Lines, LLC is poised to meet the design needs of a wide variety of industry markets. Contact us and we’ll take your project to the next level. • What is your market niche? We solve design challenges by helping you establish feature sets, color trends, materials, specifications, and requirements for your product. • What does your product look like? Conceptual sketching and illustrations are used to communicate your product style and solidify the details of your specific product features. • What file format do you or your preferred factory use? We create and supply factory-ready patterns of your product using CAD software. 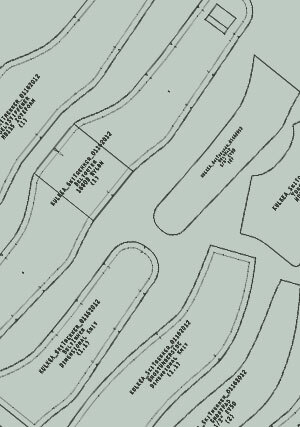 Both plotted paper or electronic copies of your patterns are available. For more complex projects, cardboard mock-ups and hand drafting may be used. 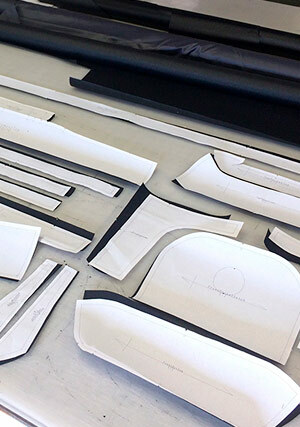 In-house custom sewing to create factory-ready prototypes and additional physical samples, as needed. • How many prototypes will you need? 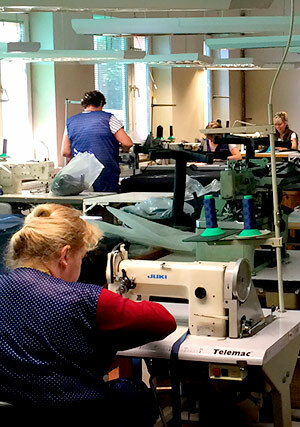 Specialized industrial sewing machines and industry specific production equipment are used to construct your product. 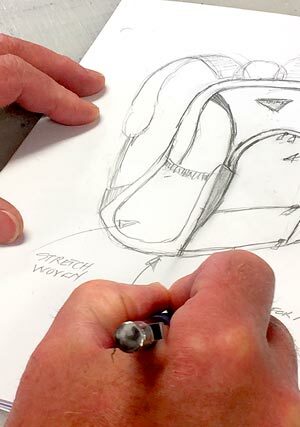 Design Lines can move your product from initial concept to a finished, production ready prototype while providing personalized, one-on-one support along the way. Parts descriptions, a complete Bill of Materials, construction/assembly documents, samples of materials and product photos. • What type of documentation do you or your factory need? We can supply you with a variety of documents. Factories typically require a list of all the components that make up your product. Production assistance to get your factory-ready prototype manufactured. • What type of assistance do you need? 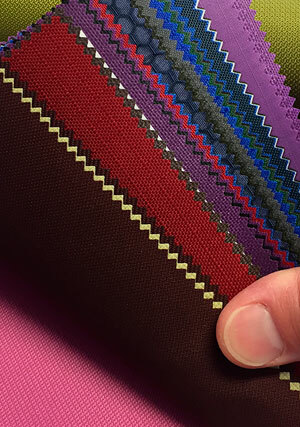 Communicating your product specifications and construction requirements with your factory; Evaluating factory-sewn samples to insure proper quality, construction and materials; Facilitating and assisting you on factory visits. Consultation on a variety of soft goods product development ideas, factory and production questions, and advice on crowdfunding. Whether you only need a few hours to get your questions answered or you plan to build and launch a prototype, we are available to consult with you.